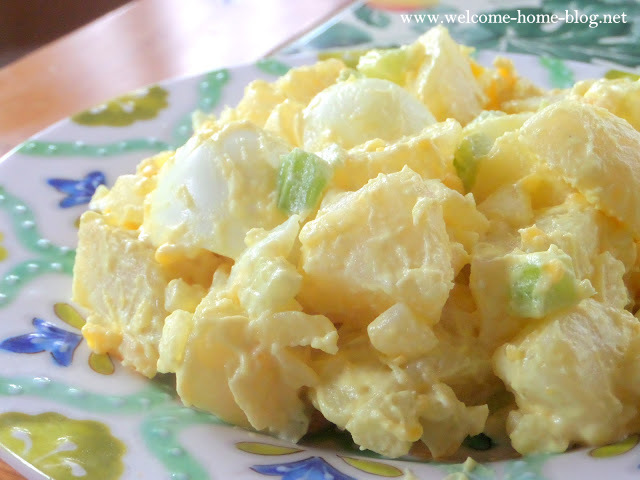 Everyone has their own favorite potato salad and most tend to make it just like their mother or grandmother. It's one of those things that you are fussy about if you're like me. 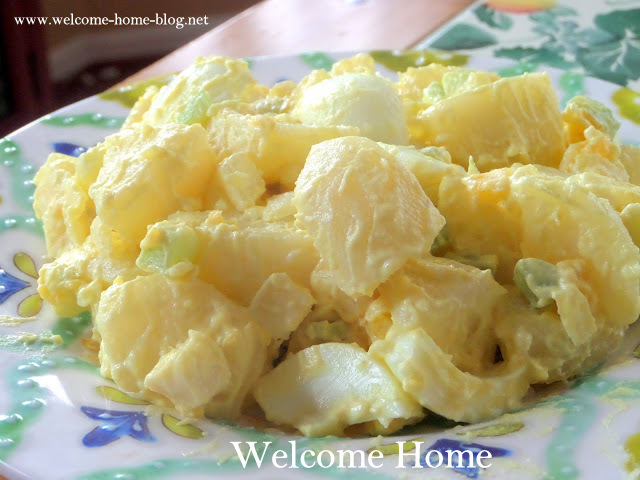 I like good old fashioned potato salad that steers clear of that vinegar taste that you get in the grocery store. Do you add pickles or dill or relish? Do you add the eggs or leave them out? Do you use mayonnaise or Miracle Whip? Do you add mustard? 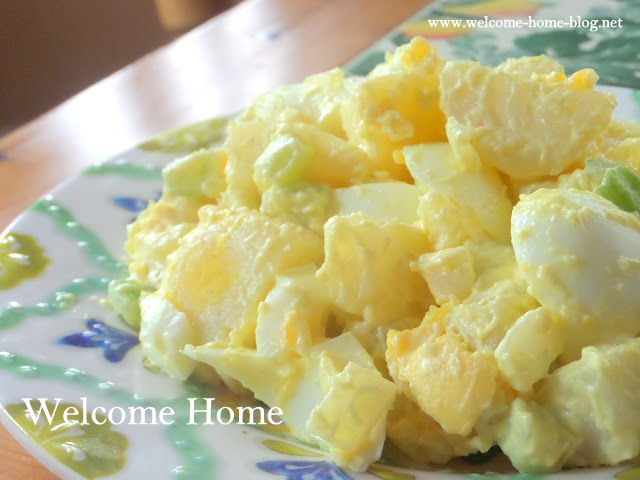 This potato salad recipe is the one I grew up with and I love it warm or cold. It's simple to make and I never change it. Peel and dice the potatoes into approximately 1" ­inch cubes. Cover the potatoes with cold water and then bring to a gentle boil. Add salt and simmer until tender, about 7 to 9 minutes. Do not over cook. Drain well and place potatoes in large mixing bowl. Allow to cool. Mix together the mayonnaise, mustard and celery seeds. Add in the onions and celery and blend well. Gently fold in the chopped hard cooked eggs. Season with salt and pepper to taste. Cover and refrigerate for at least 30 minutes. You can serve the salad warm or chill so the flavors have a chance to meld together.